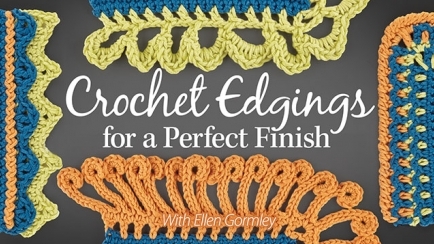 Let crochet expert Ellen Gormley guide you through 12 versatile edgings to add the perfect finishing touch to your project! 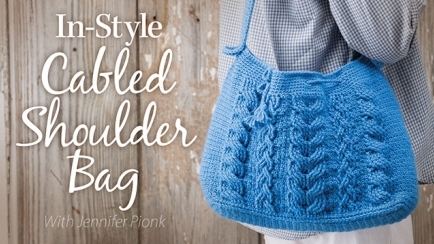 Easily learn to create stunning Irish crochet with a modern twist using traditional techniques and colorful, lightweight yarn! 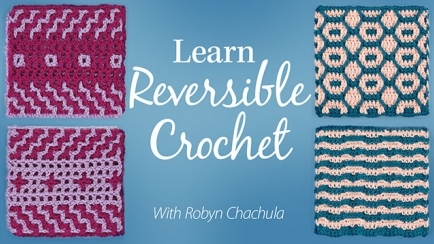 Discover how reversible crochet stitch patterns can bring a whole new look to your creations! 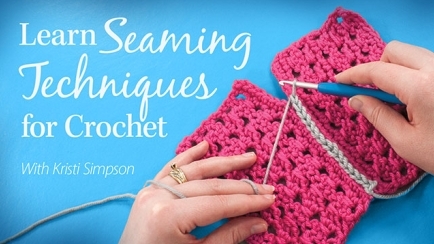 Discover perfect seaming techniques to create a beautiful finish for your treasured crochet projects! 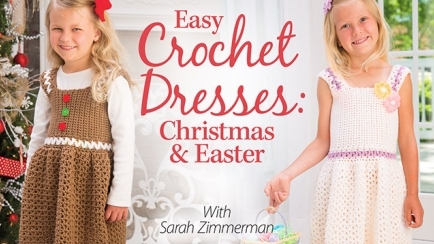 Crochet adorable extra-easy holiday dresses for that sweet little girl in your life. Quick-to-join skirt, bodice and straps work up in a snap! 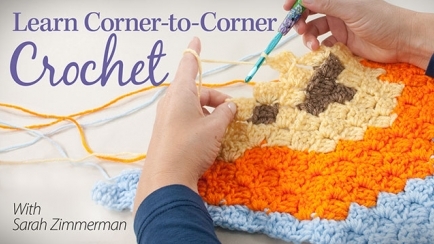 Learn the super-popular and very easy Corner-to-Corner crochet technique and create an adorable animal blanket everyone will love! 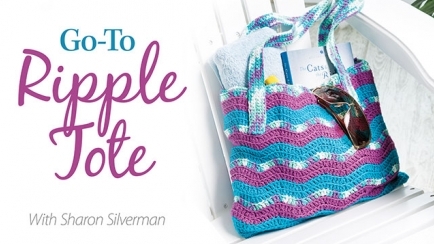 Work an eye-catching ripple pattern in bright cotton yarn to create a gorgeous tote! Take your crochet to the next level with Annie's crochet classes! 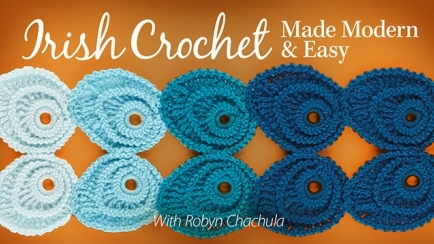 How to crochet all the basic stitches in a variety of projects. 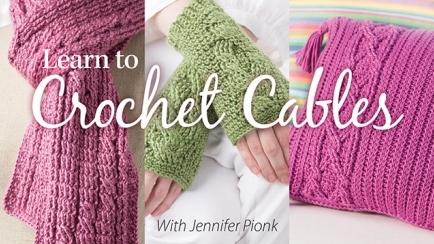 How to work Tunisian crochet, hairpin lace, Bavarian crochet, crocodile stitch and much more. How to crochet using symbol diagrams. Expert crochet instructors will lead you through each class and inspire you with their passion for crochet. If you're looking for something to draw out your creative spirit, expand your crochet abilities and give you an extra skill that you can be proud of, you've just found it with Annie's crochet classes.